Continuing today with another chapter from Garrett’s book, The Golden Handicap: A Spiritual Quest. 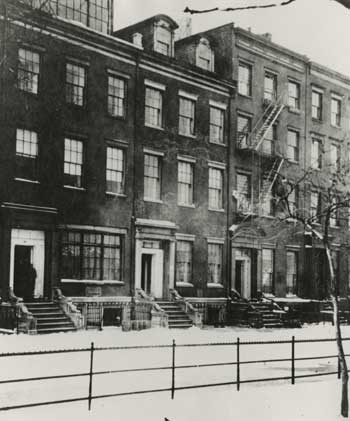 The strain Garrett’s condition had put on their marriage and the increasing demands upon his time due to his writing led James to move out of their West 138th Street apartment in January of 1914 and into digs at 61 Washington Square South. In April 1914 he would publish Idle Wives—a novel about well to do women who have nothing to do and ignore their children while they themselves are ignored by their husbands. Lucy saw herself as one of these neglected women and filed for divorce which was granted in July of that year. Lucy remarried the following year to a Dr. Meyer M. Stark who had been treating Garrett for some time while James eventually remarried one Gertrude (Smith) Drick—he called her The Golden Bird, she called herself “Woe”. When asked why she would reply, ” ‘Cause Woe is me.” She is only remembered now for the time she tried to declare Washington Square it’s own republic (Garrett mentions this in the chapter). 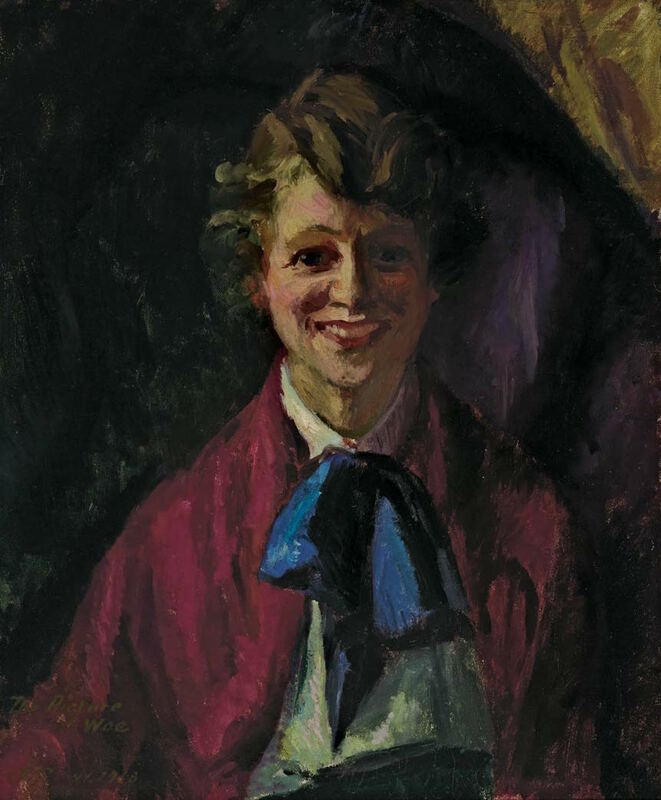 In 1921 James Oppenhiem moved to Glendale, California with Woe and Ralph. 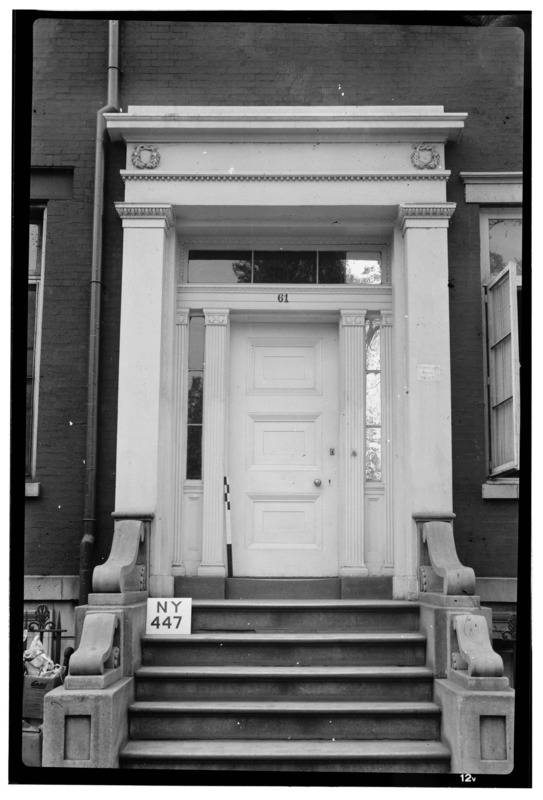 They were there for about two years returning in 1923 and resuming residence at 61 Washington Square South, a rooming house known as The House of Genius! The block had been dubbed genius row due to the creative geniuses that had lived there at one time or another, but number 61 was the house of genius. The Row of Genius on Washington Square South. Number 61, The House of Genius, where Ralph lived and wrote his early pulp tales is the center house. The house had been leased by a swiss woman named Madame Blanchard in 1886 and she in turn converted the single family dwelling into a rooming house and would only rent rooms to bohemian writers, musicians and artists. It is said that notable residents of the building included Willa Cather, John Dos Passos, Alan Seeger, Stephen Crane—and to this list Ralph Oppenheim! According to Garrett, James and Gertrude had a room on the third floor which overlooked the park—from the window, you could see over the famous Washington Arch straight up Fifth Avenue. The walls of the third and forth floors of the building were said to be emblazoned with artistic murals and poetry etched by the former guests. Ralph occupied a smaller room where he wrote his blood and thunder stories! This time Garrett writes about visiting and then moving in with his father, step-mother and Ralph down in the village in a house commonly referred to as the house of genius, of the wonderful visitors—artists, novelists, poets, composers, even a well-known cartoonist—that would come; and of his step-mother who was more of a wonderful companion than a parent. In short: The Magical World of Daddy O! Editor’s Note: If you are interested in reading Garrett’s whole book it can be found on used book sites and for as low as 90¢ used from other sellers on Amazon!